The Tale Temptress: Blog Hop Friday! 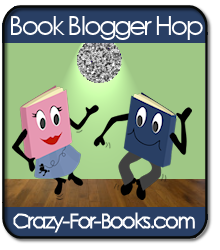 This week's Blog Hop question is: "Tell us about one of your posts from this week and give us a link so we can read it (review or otherwise)!" The post I made on Monday is my Monthly Monday in Retrospect in which I tell everyone about the Best Ofs that I read during the previous month. Best book, best heroine, best hero, best villain, and best cover. I like to highlight these for folks looking for the "Best Of" reads. I am thinking about turning it into a monthly meme if enough people like the idea. Where did your hops take you this month? Hopping by to say hello and wish you a great weekend. Very cool blog! I love the design and layout! Oo I like your meme idea!! What a great design in your header...love it.